Genesis Youth Ministry – With God, ALL things are possible! #24HrsWorship2019LDN was amazing and a blessing onto God. We interceded for our nation, God helped us understand that we are the light of the world because HE is the Light of the World. Stay tuned for pictures and episodes of our live streams. In the mean time, please feel free to share your testimony below. All of our T-shirts are currently out of stock, pre-order will open soon which will allow to get our designs. 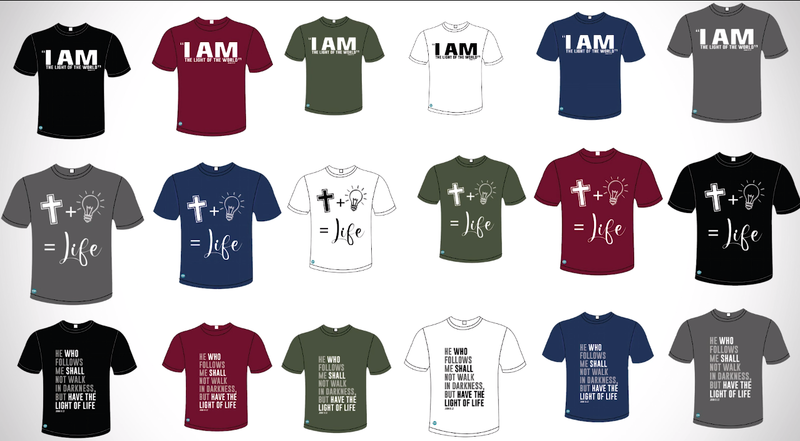 Click Here to still have a look at the designs and colours you can potentially get. If you have a testimony from any of our 24hrs Worship events, please feel free to share it with us. We would love to hear and be blessed with what God is doing in your lives. Click below to read the Testimonies people have written about what God has done. We are sure you will be blessed and encouraged. We are still raising funds and asking for donations to support the different things that we do at GYM. The donations and funds will go towards the preparation of the events we do around the world, spreading the Gospel, fellowships and worshiping with our brothers and sister around the world. #24HrsWorship2019LDN was amazing. WOOOW the way He answered prayers, the way He revealed himself for us to intercede for nations, the way He turned up and touched lives at 24 Hours was just ahhhhhhh. We just want to say thank You Lord for everything! In the light of thanksgiving, pointing everything back to God, we would like to encourage you to share a testimony. We have links below that will allow you to read and write tesimonies so everyone who come across them can be encouraged and blessed. Go to our website (LINK IN OUR BIO) scroll down and click on *‘Submit a Testimony’*. In this section you will be able to type out what God has done for you. Please feel free to upload a picture that reflects your testimony. If you prefer to do a video upload it via the same *‘Submit a Testimony’* link. Please feel free to share this message. We would love to read as many testimonies as possible. You have no idea what a blessing YOUR testimony will be to someone else. ❗️❗️ATTENTION❗️❗️, pls pls pls this is a FAKE account that was created recently. PLS do not follow. When you see it REPORT IT IMMEDIATELY our real account is @genesis_ym. BTW #lightoftheworld #24HrsWorship2019LDN was amazing. Genesis Youth Ministry was live — at Trinity Chapel. Genesis Youth Ministry was live. Man’s Mind; God’s residence or satan’s tool?